Liverpool FC and New Balance have donated 125 new 2018-19 home shirts and trainers to local children from schools in and around the Anfield community. The youngsters are among the first in the world to get their hands on the jerseys, which only become available in stores and online today. The donation marks the end of the Reds’ 125th anniversary year, which has involved a host of activities within the community. Red Neighbours, the club’s local community programme, worked with the 25 schools based near Anfield who invited the kids to the stadium to collect their shirts and trainers. 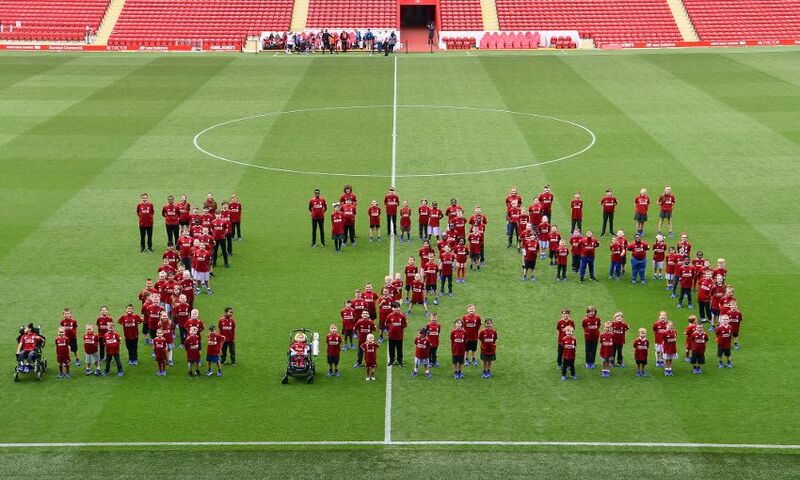 The children then had the once-in-a-lifetime opportunity of walking out onto the famous pitch at Anfield for a special commemorative photograph.